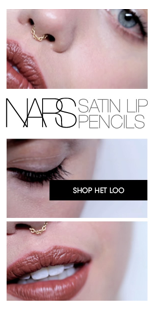 ITG's ad campaign for NARS featuring 108 septum chains. This is awesome news. I am such of a huge fan of your artistry. links and it will spread all your great accomplishments.